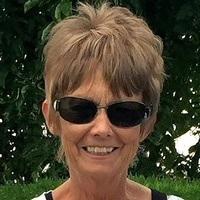 Stephanie Diane Gamber passed away on Wednesday, March 6th, 2019 at Utah Valley Hospital in Provo, Utah. Stephanie was born on July 7, 1947 in Price, Utah to Daly William “Bill” Dent Jr. and Eva Darlene Jones. She graduated from Carbon High School in 1965. She then married Michael Gamber on September 30, 1966. They had 53 wonderful years together. She worked at the telephone office and then after becoming a mother, spent 30 years as a Medical Transcriptionist for multiple doctors. You could often find her clicking away on her typewriter late into the night. Her family always came first and she loved them with all of her heart. She was constantly thinking of others and doing anything she could to help and love them. She had a great sense of humor and always made everyone feel good just by being around her. She was a “second mom” to more than we can count. She loved the sunshine! Sitting on the porch to visit with friends and working in the yard were among her favorite things to do. She was a Utah Jazz fan and loved to cheer them on; it made her whole day to know she could look forward to watching a game that night. She will be deeply missed by all who knew and loved her. She leaves behind an amazing legacy of charity, laughter, strength, courage and kindness. She is survived by her husband, Mike Gamber, brother Jerry Dent, sons James (Geri) Gamber and Richard (Rebecka) Gamber and daughter Michelle (Kristopher) Gillespie and grandchildren Lacee Meyer, Alexis Gamber, Brooke (Dallon) Lessar, Konner Gamber and Cole, Joshua, Alaria & Claire Gillespie. Preceded in death by her parents and brother David Dent. Family can be greeted at Mitchell Funeral Home in Price, Utah on Tuesday, March 12th from 9:30-10:30 a.m. A short graveside service will follow at 11 a.m. at the Price City Cemetery. Arrangements entrusted to Mitchell Funeral Home where friends are welcome to share memories at www.mitchellfuneralhome.net.